From US 250 westbound. Photo by Mapmikey, taken 11/10/05. From VA 358's south end looking north. 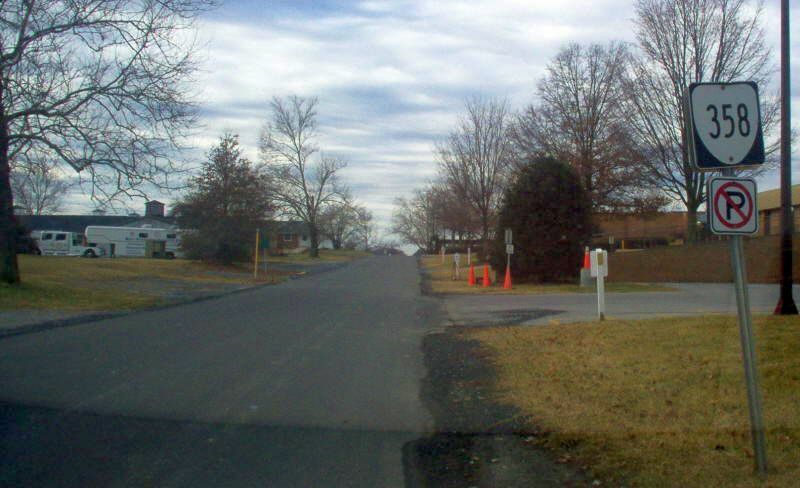 VA 358 is long enough to have a school route connecting to it before it reaches the Wilson Center. Photo by Mapmikey, taken 11/10/05. 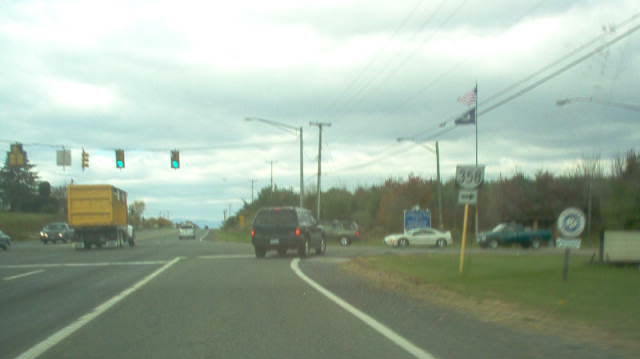 At VA 358's south end at the US 250 stoplight. Photo by Mapmikey, taken 11/10/05. From US 250 eastbound. Photo by Mapmikey, taken January 26, 2006. 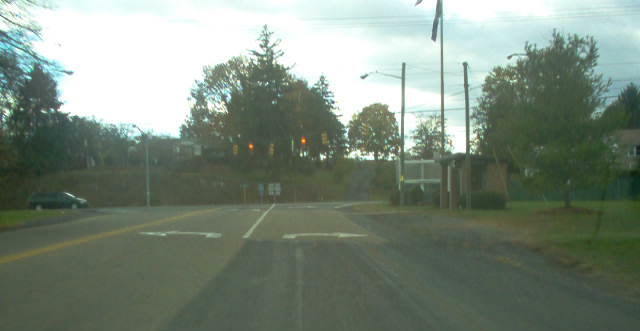 VA 358 splits into two branches within the facility. Here is the view looking south from the northwestern branch end, where it transitions from SR 877. Photo by Mapmikey, taken 11/10/05. VA 358 has some internal postings. Here is where VA 358 becomes SR 877. Photo by Mapmikey, taken 11/10/05. Here is where SR 880 becomes VA 358 at the northeastern segment. Photo by Mapmikey, taken January 22, 2006. 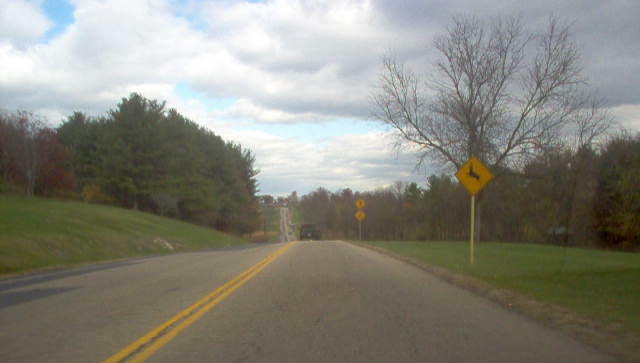 Here is where VA 358 becomes SR 880 at the northeastern segment. Photo by Mapmikey, taken January 22, 2006.